Don’t let the modest line-up fool you; Bethesda has other publishers looking nervously over their shoulders. 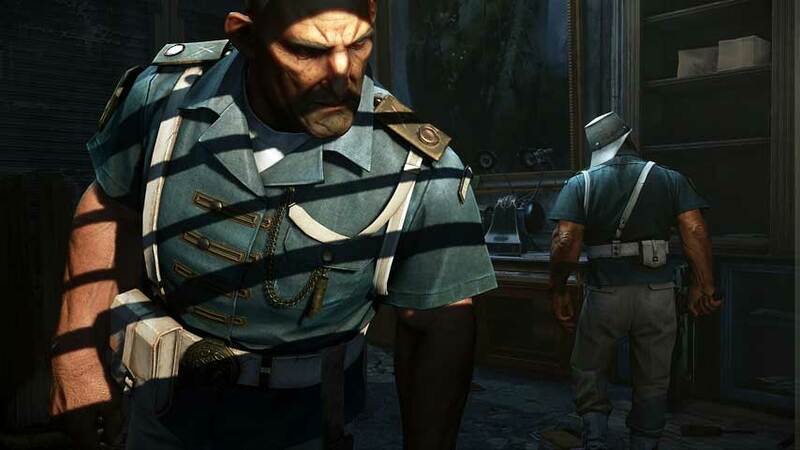 Bethesda highlighted nine games during its E3 2016 showcase: Dishonored 2. Prey. Quake Champions. Skyrim Special Edition. DOOM. Fallout 4. Fallout Shelter. The Elder Scrolls Online. The Elder Scrolls Legends. Bethesda tends to snipe rather than spray-and-pray. If Bethesda decides it wants in on a genre, it makes one bet and bets big. Nine games for the next 12 months, and five of them already released in one form or another. One a free-to-play card battler, one a free to play mobile game. One a PC exclusive in a young but crowded genre. One current-gen re-release. For any other publisher, this would be a very weak hand indeed. For Bethesda, it’s probably a winner. Bethesda exists in a very strange space. A string of hits and a remarkably careful fostering of the core team that produced those hits have allowed it to spread out and become one of the few mid-sized publishers to survive the great crunch. It’s gone from tentatively pushing lacklustre third-party titles (Brink? WET?) to fronting a carefully-selected stable of first-party teams with compatible interests. Look at Bethesda’s biggest studios outside Todd Howard’s flagship crew. 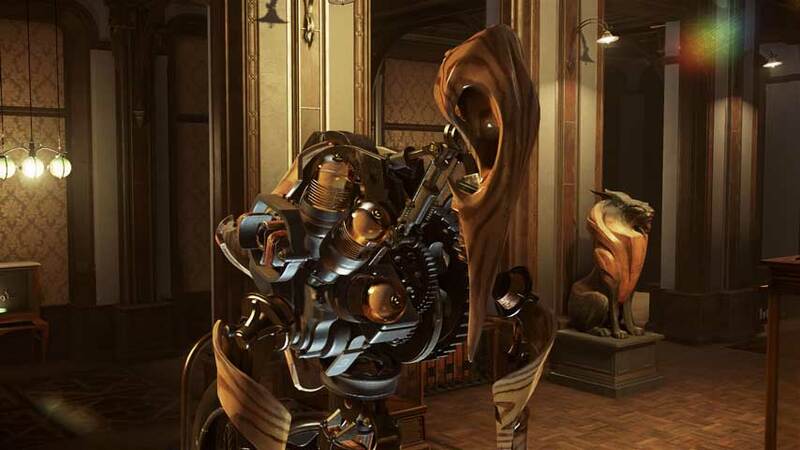 Arkane, a team grounded in first-person immersive sims. Id, the first word in first-person shooters. 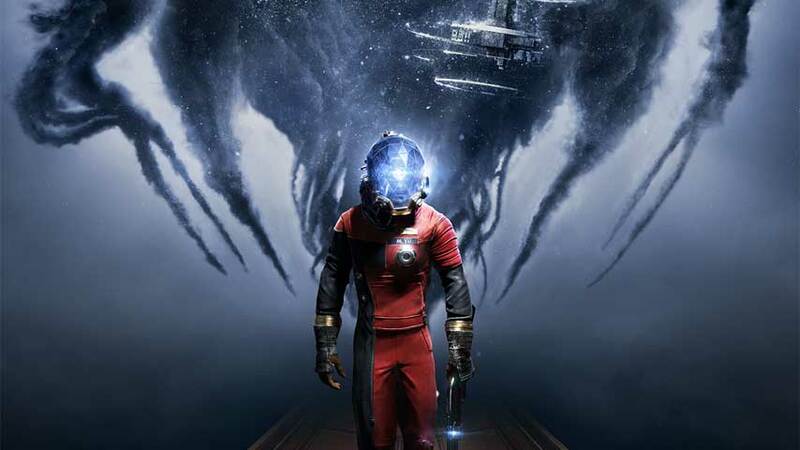 Both teams with overlapping interests in Bethesda Game Studios’ primary pursuit of first-person gaming, but with something different and complimentary. Then there’s Zenimax Online, a team created specifically to leverage Bethesda’s core IP. MachineGames, another very strong first-person team (Starbreeze veterans, don’t you know) apparently tasked with doing the same with id’s back catalogue. There’s also Tango Gameworks. I literally have no clue how that came about, except that Bethesda was in a position to do it, and thereby to serve a gaming niche which, like western RPGs, had otherwise been neglected by the mainstream industry. Compared to EA or Activision or Ubisoft, Bethesda is small fry and its release schedule is barren. But its choices and investments smack of deliberation and intent rather than market research and focus testing – and it’s an approach that pays off. If any other publisher came to E3 with nine games but only two of them were pre-order fare, we’d be burning the site down and tearing our hair because the end of the world was coming. When Bethesda does it we assume it’s going to make money hand over fist for another year. That’s not to say everything Bethesda touches turns to gold, and you’re right to give it a bit of side eye when it does something wacky. We all remember its last big push to enter the publishing big leagues, don’t we, with WET and Hunted: The Demon’s Forge and Brink. None of them terrible games, exactly – well, there’s certainly room for argument there – but definitely not memorable ones. Poor old id isn’t doing quite as well as one might be hoped, either. RAGE was hastily consigned to history and DOOM’s multiplayer is taking a critical drubbing. The second of MachineGames’ Wolfenstein games seems to have sunk without a trace. It would be easy to throw The Elder Scrolls Online into this pile too, were it not for the fact that it’s still plodding along. Surely MMORPGs are expensive enough that if it weren’t doing reasonably well the pin would be pulled? MMOs exist in a weird sort of twilight world outside the core triple-A space and it’s not really fair to compare them. The Elder Scrolls Online is an interesting example of the way Bethesda has attempted to diversify. Its core business is first-person games, serving an audience that has grown and expanded from neglected (forgive me, I was one of them) nerdy PC roots into a powerful consumer base. It is one of the most successful publishers in the ever-shrinking release-DLC-sequel business. But it clearly wants to cover its bases with more than that. It’s been chasing a successful multiplayer shooter for years (Brink, DOOM) and has made more than one attempt at the suddenly trendy hero shooter category (the probably-cancelled Battlecry and now Quake Champions – a perversion of the IP that has set older gamers weeping over their WASDs). There’s a collectible card battler happening, possibly just because Pete Hines is addicted to Hearthstone. Fallout Shelter is Bethesda’s cautious foray into mobile money-spinners. We’ve already talked about The Elder Scrolls Online, an absolutely whopping investment and a no-brainer evolution of Bethesda’s most important IP. What’s interesting is how it goes about spreading out like this. Remember when EA decided free-to-play was the thing and announced half a dozen games at once? (Charming Australian Andrew Wilson cancelled them all, bless him.) Bethesda may be flush in the pocket, but perhaps one if the reasons it can afford to suddenly launch an MMORPG out of nowhere is that it tends to snipe rather than spray-and-pray. If Bethesda decides it wants in on a genre, it makes one bet and bets big. It’s not afraid to fold, which is another of its strengths. We’ve already named a few releases that were less than ideal, but Bethesda sinks many more ships than it lets go out to flounder. Battlecry may be one such lost project. Human Head’s Prey was given the axe, and as much as I regret Human Head’s tribulations if the end result is a new Raphaël Colantonio immersive sim I am not especially sorry. Last year, Bethesda fronted up to E3 and said: We’ve made Fallout 4. Here’s a look at it. Buy it this year. Also, here are two things you can maybe buy next year; we’ll talk about them later. And while we’re up here have a look at our non-traditional offerings too. It made a lot of money. It’s probably going to make a lot of money.